Introducing the SIS GO Isotonic Energy Gel - 7 Gel Pack. When you commit so much time, energy and determination to being the best you can, you want a sports nutrition partner that truly understands physical endurance - one that you can trust to provide the best and most effective solutions. This is where the Isotonic Energy Variety Pack comes in. 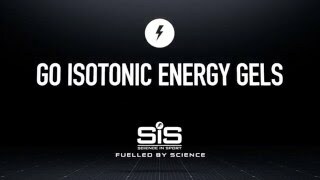 The SIS GO Isotonic Energy Gel is a brilliant efficient way of delivering an easily digestible and quick supply of carbohydrate for energy during exercise. The Isotonic Energy Gel is designed to be consumed without water, minimising the risk of being bloated, which can sometimes occur with over-drinking, therefore easy of the stomach.